Nick Mamatas is the author of six and a half novels, including The Last Weekend (PS Publishing), Love is the Law (Dark Horse), The Damned Highway with Brian Keene (Dark Horse), Bullettime (CZP), Sensation (PM Press), Under My Roof (Counterpoint/Soft Skull), and Move Under Ground (Night Shade/Prime). His latest collection is The Nickronomicon, from Innsmouth Free Press. His novels have been translated into German, Italian, and Greek. 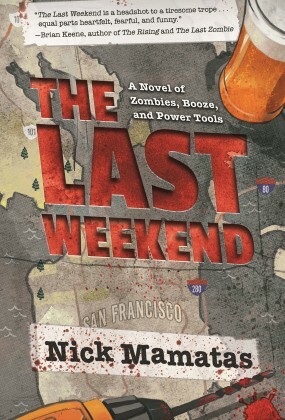 Nick is also an anthologist and editor of short fiction: with Masumi Washington he co-edited the Locus Award-nominated The Future Is Japanese (Haikasoru), and with Ellen Datlow he co-edited the Bram Stoker Award-winning Haunted Legends (Tor Books). Nick's own short fiction has appeared in genre publications such as Asimov's Science Fiction and Tor.com, lit journals including New Haven Review and subTERRAIN, and anthologies such as Hint Fiction and Best American Mystery Stories 2013. 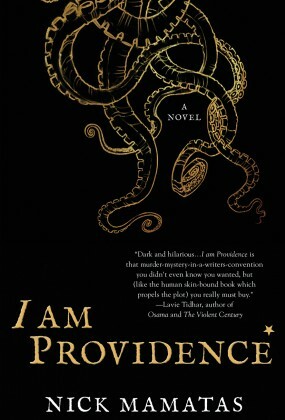 His fiction and editorial work has been nominated for the Bram Stoker award five times, the Hugo Award twice, the World Fantasy Award twice, and the Shirley Jackson, International Horror Guild, and Locus Awards. His writing guide Starve Better: Surviving the Endless Horror of the Writing Life (Apex Publications) has been excerpted in The Writer, and he has also published two joke/reference books: Insults Every Man Should Know and Quotes Every Man Should Know (Quirk Books).